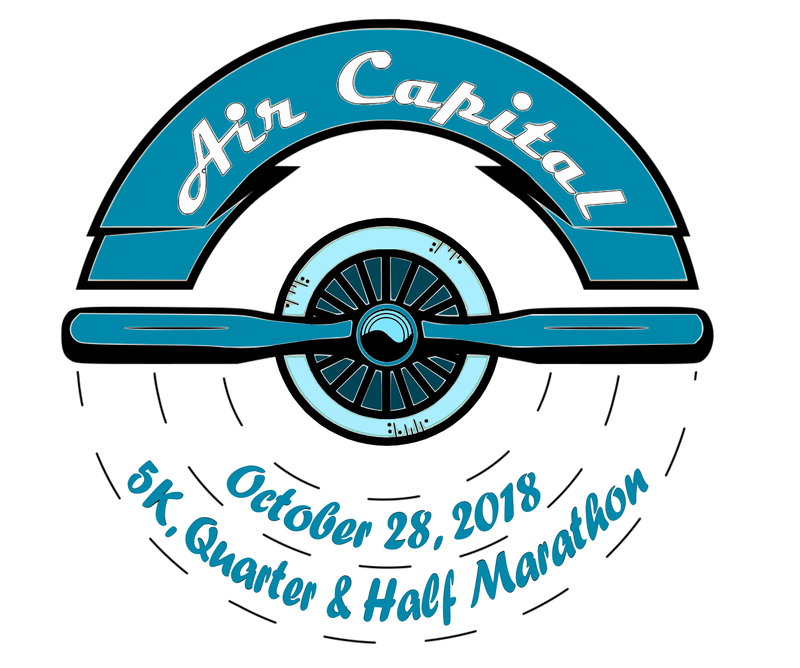 ABOUT: The 4th annual Air Capital Half Marathon will take place on Sunday, October 28th 2018. The Half Marathon (13.1 miles) will include distinct finisher medals for all participants as well as age group awards. The Quarter Marathon (6.55 miles) will include distinct finisher medals for all participants as well as age group awards. The 5K (3.1 miles) will include distinct finisher medals for all participants as well as age group awards. The Races will conclude with a family friendly after party. All participants will receive a race shirt and finisher medal. Walkers welcome in both races, race walking will not be scored/judged. 2018 COURSE MAPS listed below! Half Marathon and Quarter Marathon will start at 8:30am. 5K will start at 9:00am. ﻿Race Results from the 2018 Air Capital Half Marathon are here. Race Results from the 2017 Air Capital Half Marathon are here. Race Results from the 2016 Air Capital Half Marathon are here. Race Results from the 2015 Inaugural Air Capital Quarter Marathon are here.